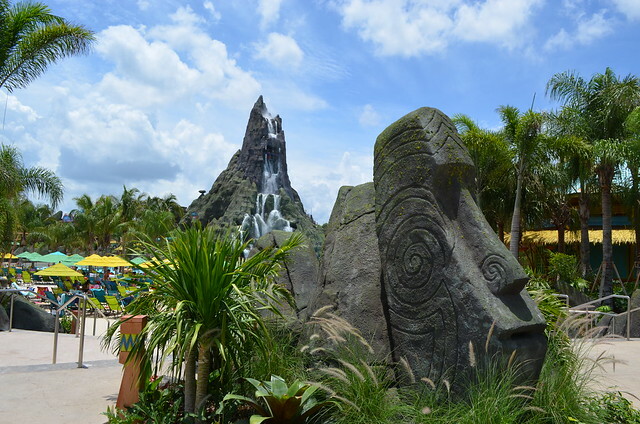 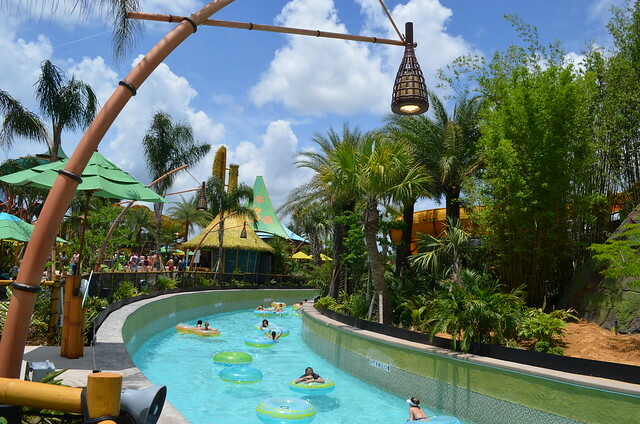 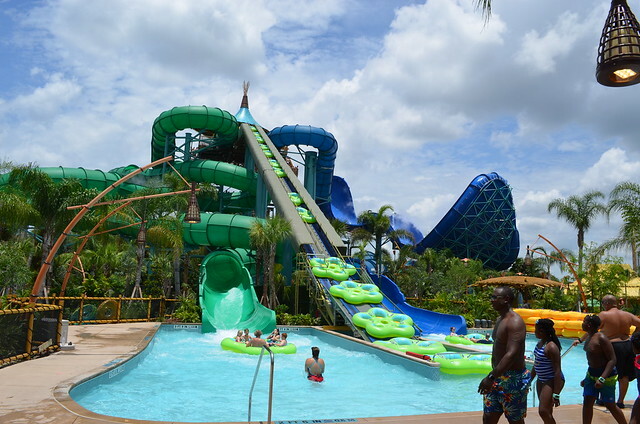 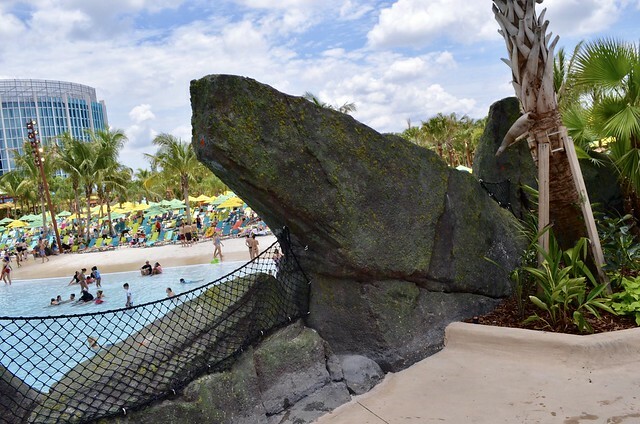 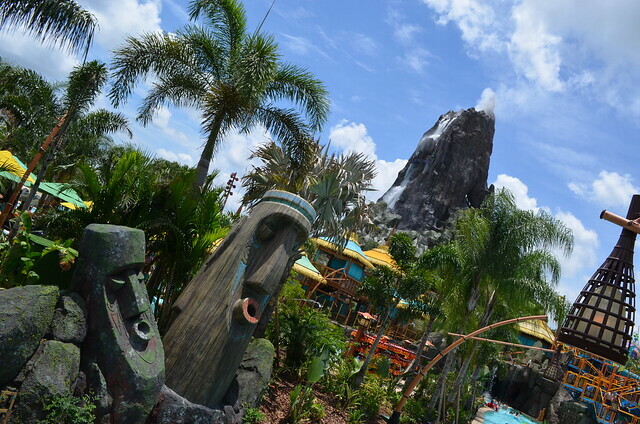 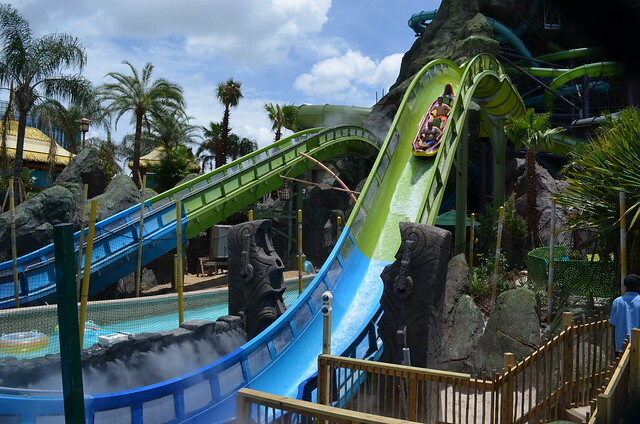 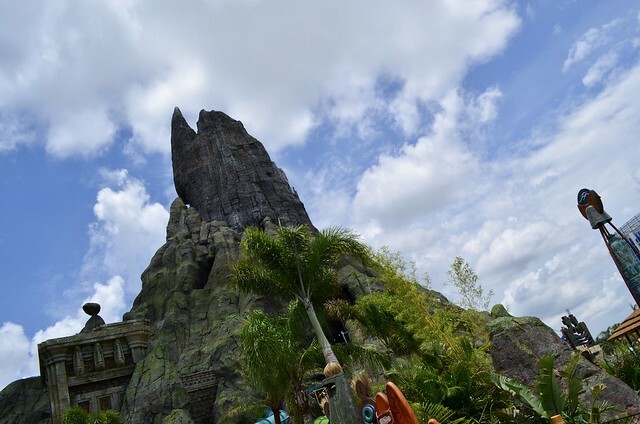 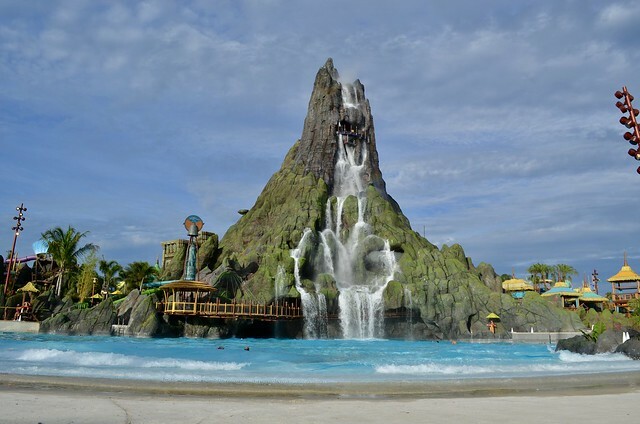 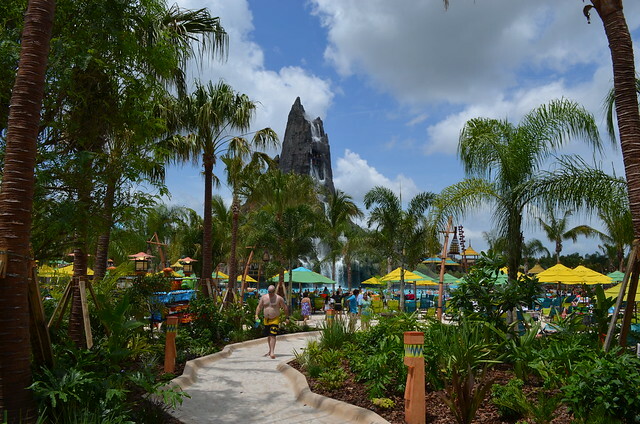 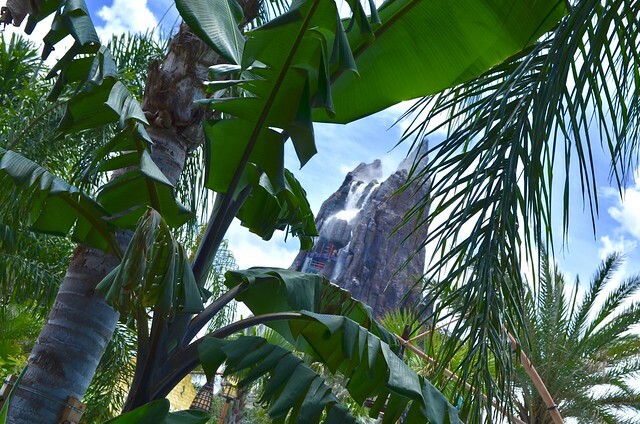 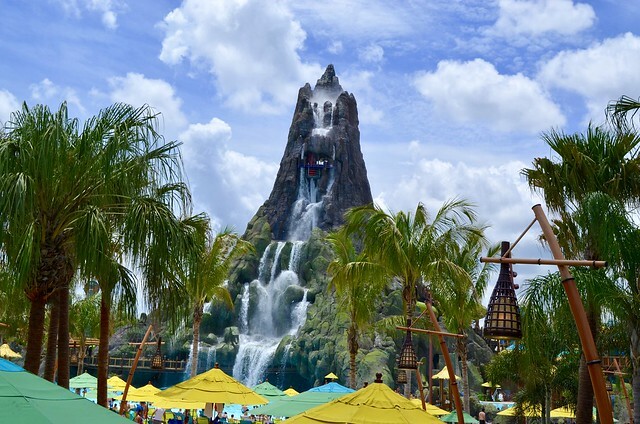 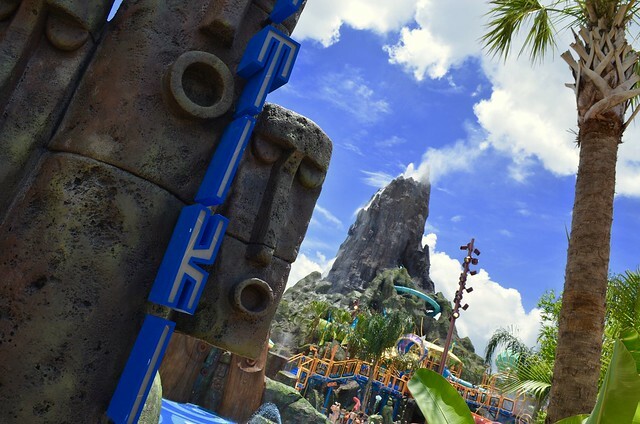 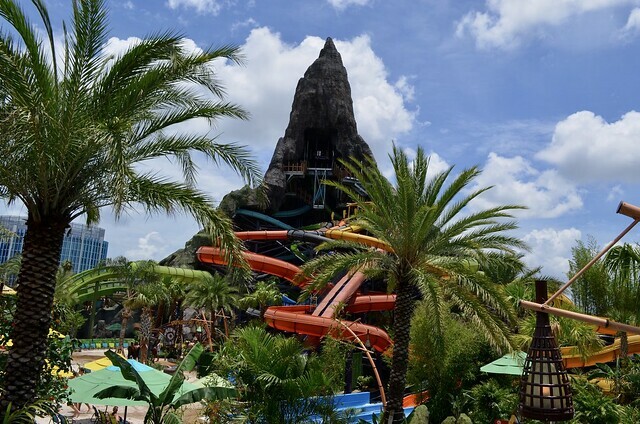 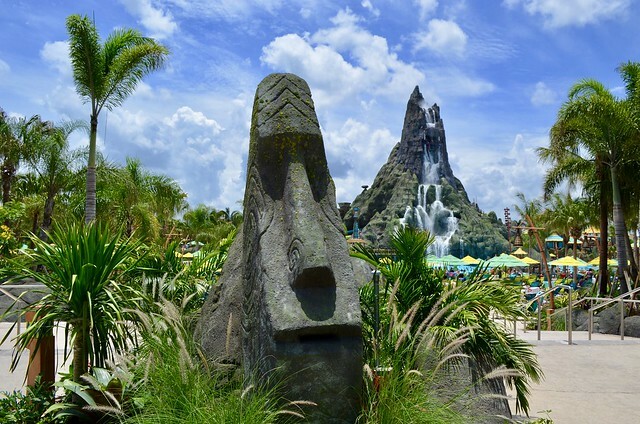 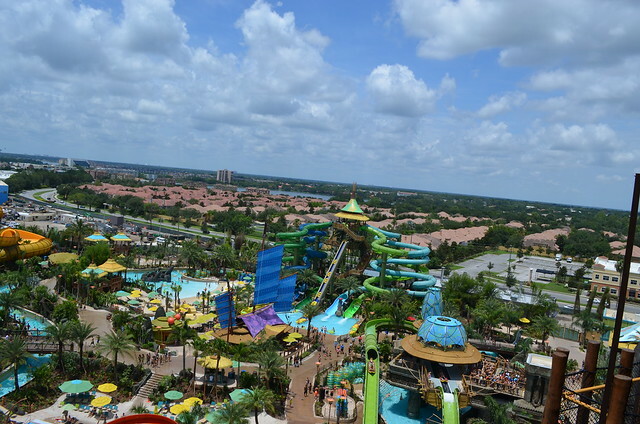 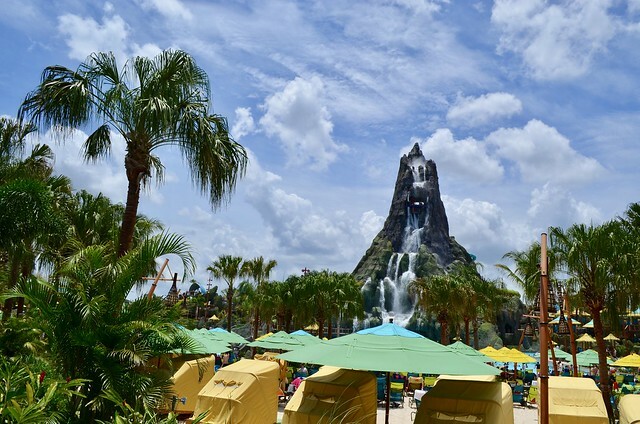 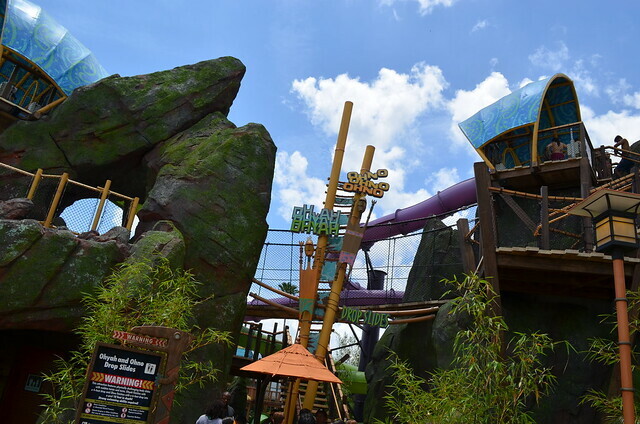 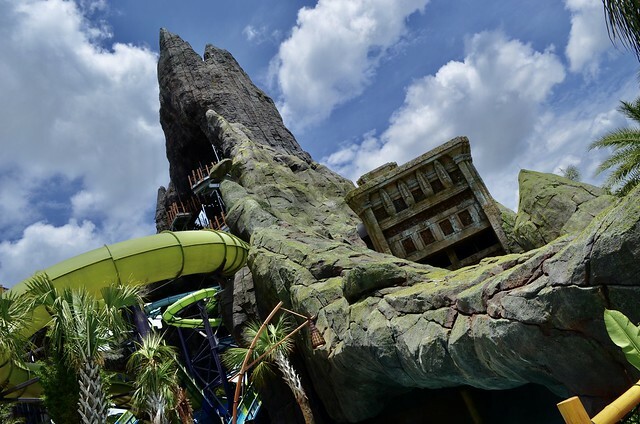 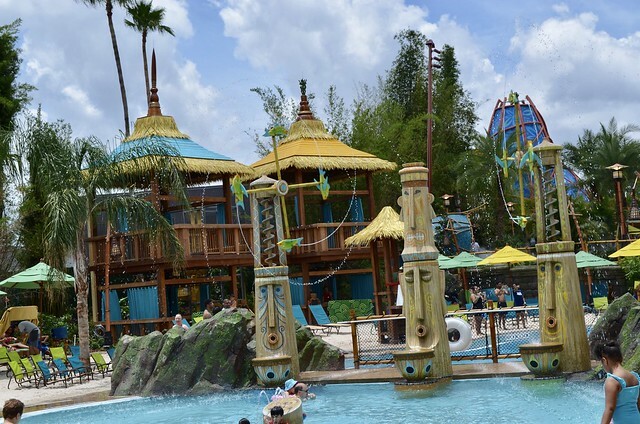 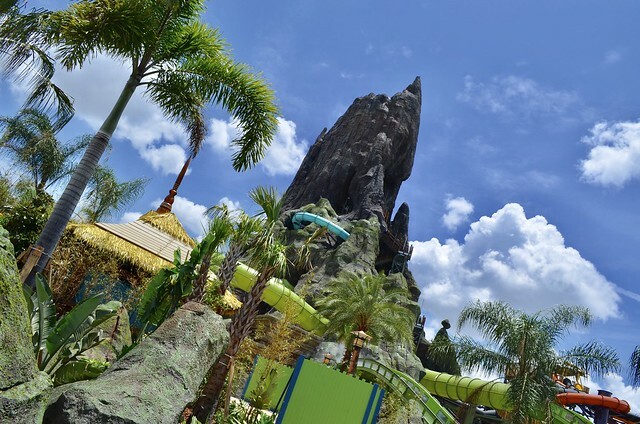 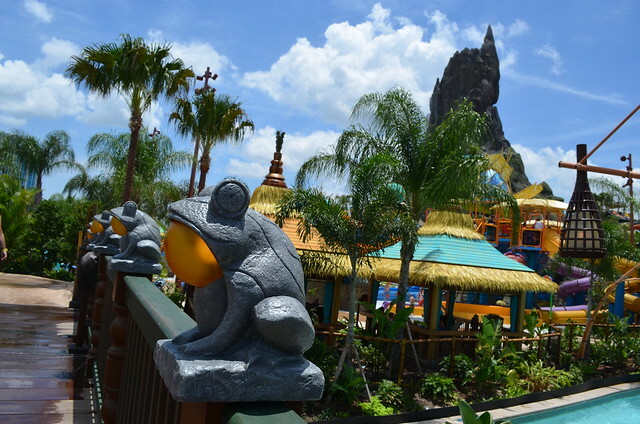 This past summer Universal Orlando opened their newest park, Volcano Bay, a Tropical/South Seas themed water park. 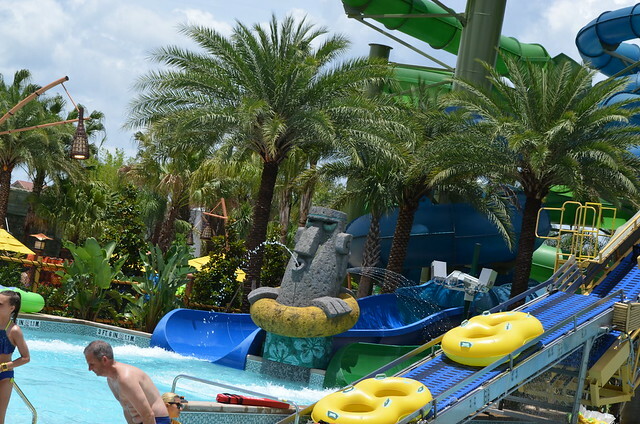 I’m not much of a water park person, but I enjoyed the park very much. 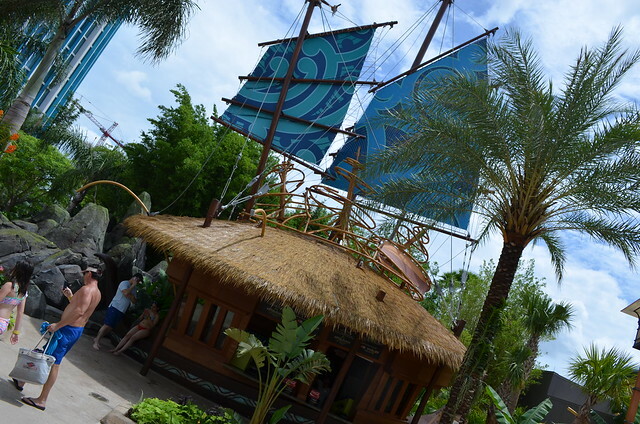 I’m a huge fan of Polynesian design and culture, so the art direction of the park was a real treat. 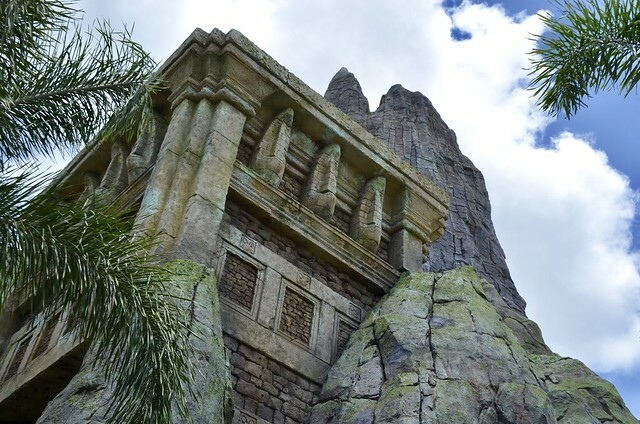 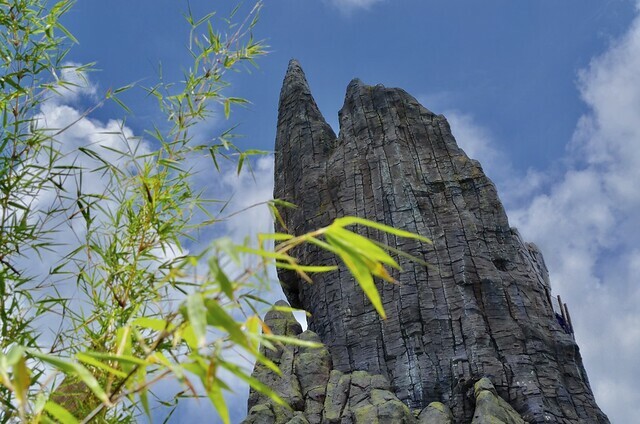 In this article, I’m going to share some of my favorite details and elements of the park’s design. 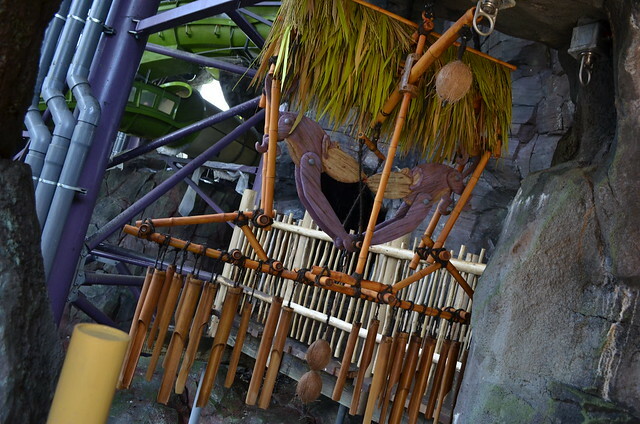 A fantastic reveal of the park’s entry structure. 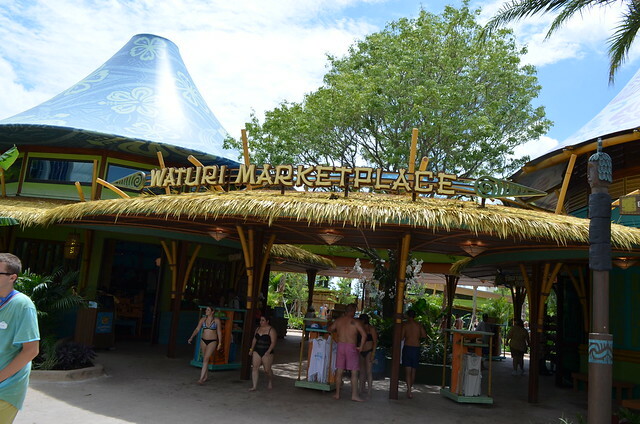 Located here are the entry kiosk where you are handed your Tapu Tapu wristband. 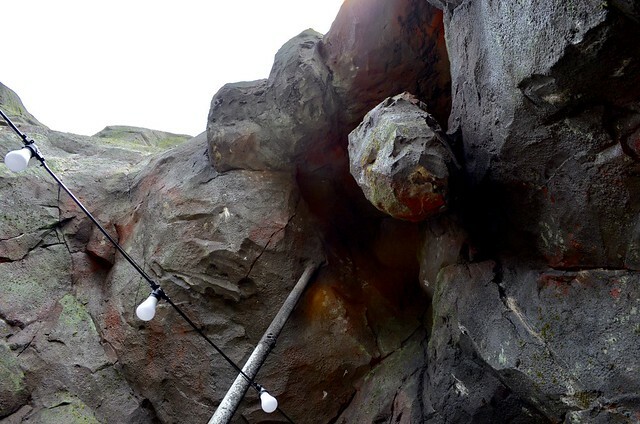 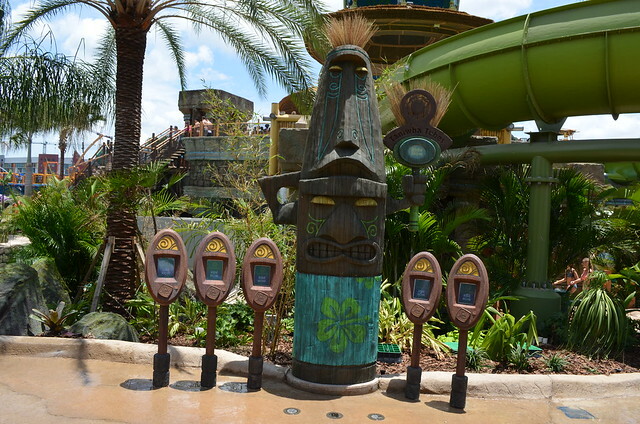 This is what allows the virtual queue system and mobile payments to work in the park. 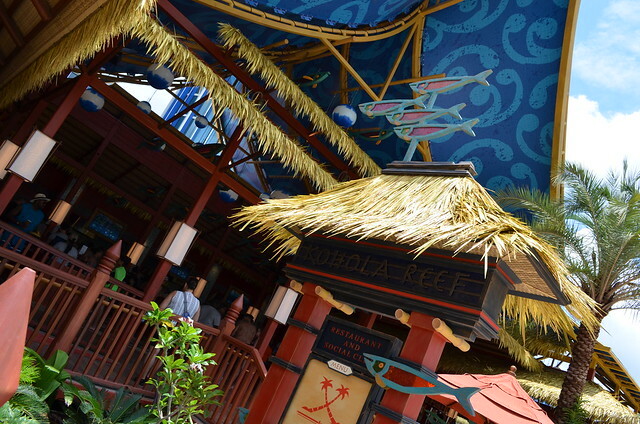 Also here is a guests relations window and group sales. 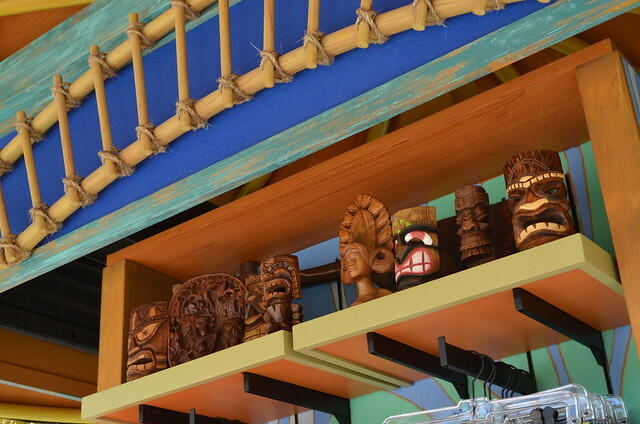 Lots of fantastic design elements here- tiki heads, war canoes, wood paneling, lighting fixtures, and the entry points are really cute mischievous tikis. 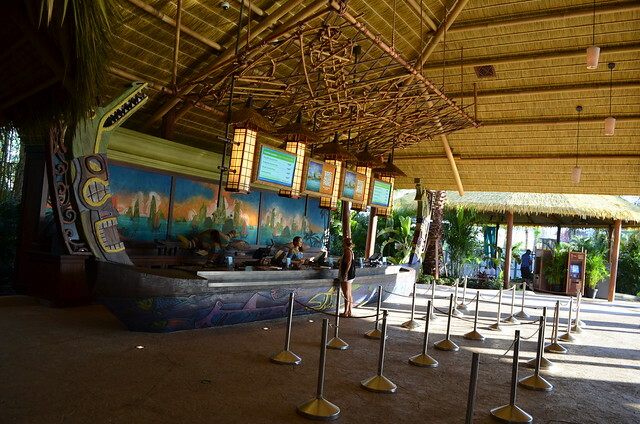 A war canoe is the ticket counter, rad! 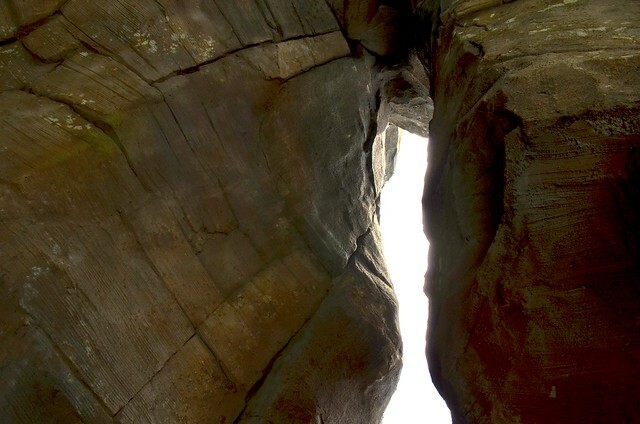 Once you enter, you walk up another twisting path and this is the big reveal. 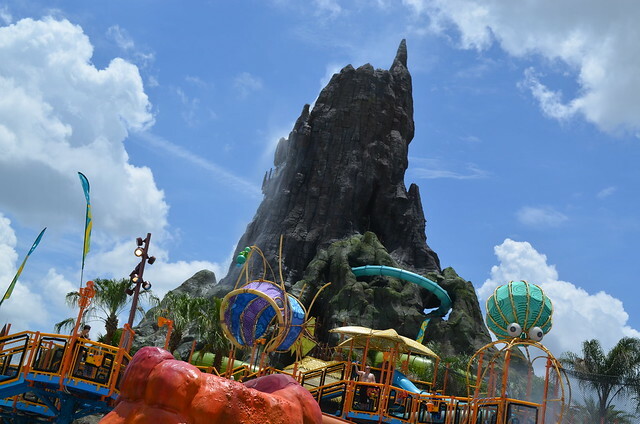 Turning the corner you’ll see the park’s icon, the Krakatou Volcano. 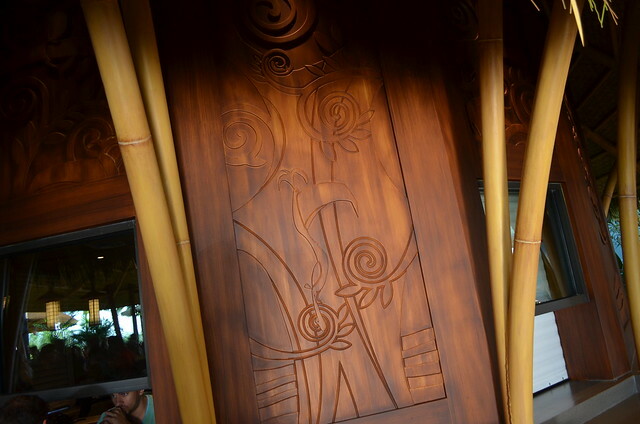 One of my favorite designs elements is the opening and reveal of spacial areas, so this was great to see. 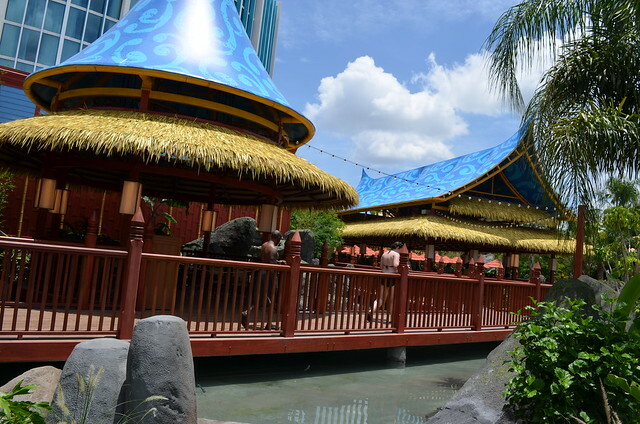 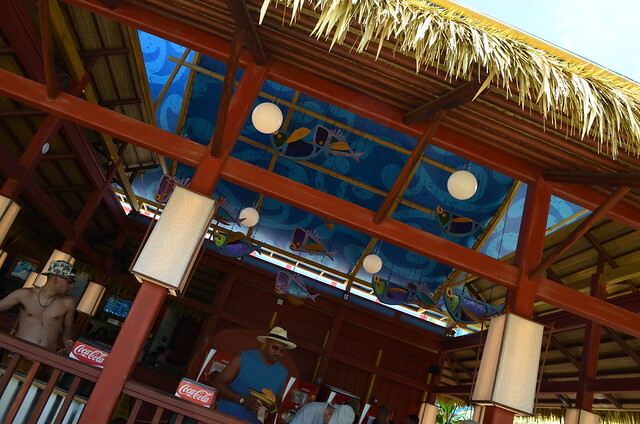 In this area, you’ll find some stylized Tiki heads, fountains, an ice cream shop, gift shops and a patio area for the main restaurant. 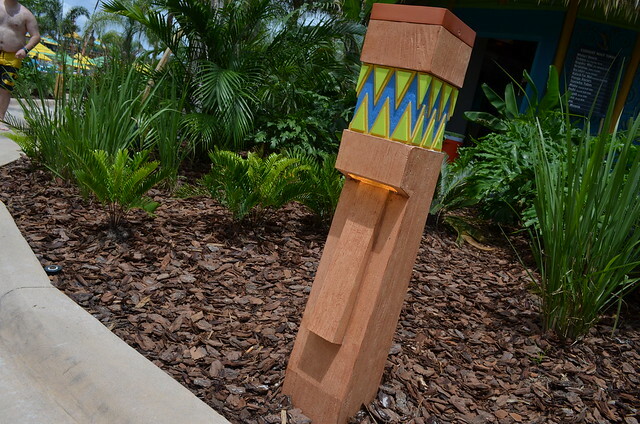 These great lighting fixtures light up the main pathways at night. 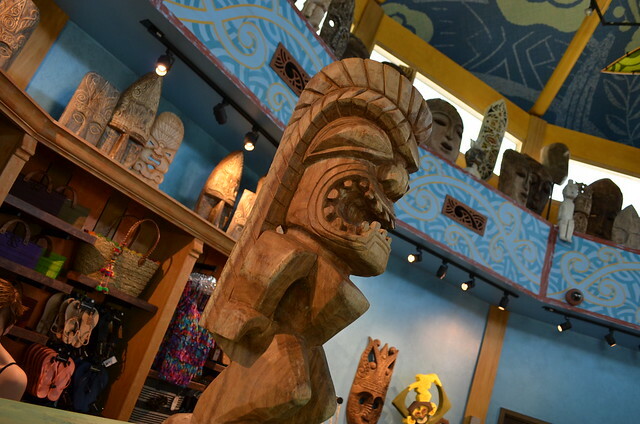 Some of the cool props inside the gift shops near the entrance. 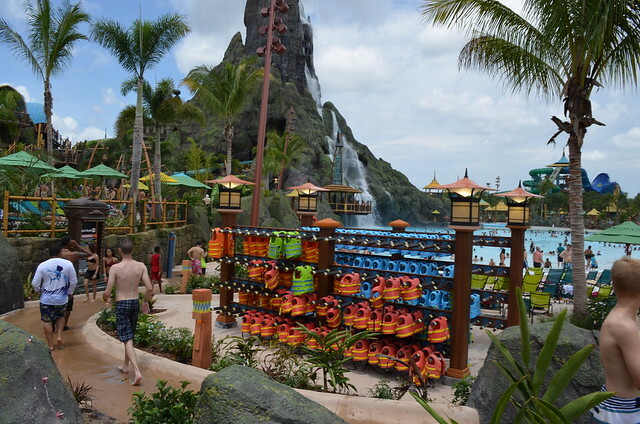 Walking straight towards the volcano takes you to the beach area and wave pool. 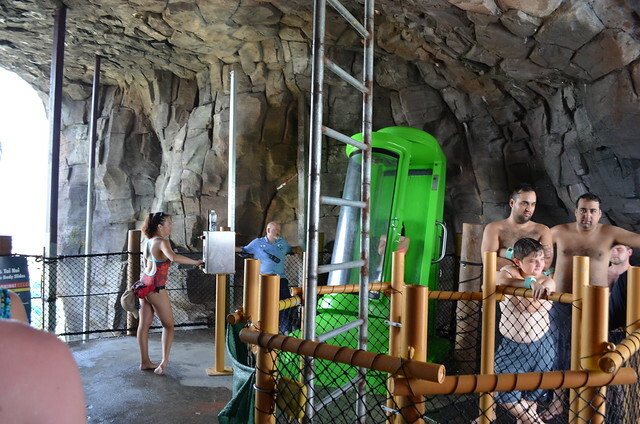 There is plenty of seating and everyone has a great view of the man made structure. 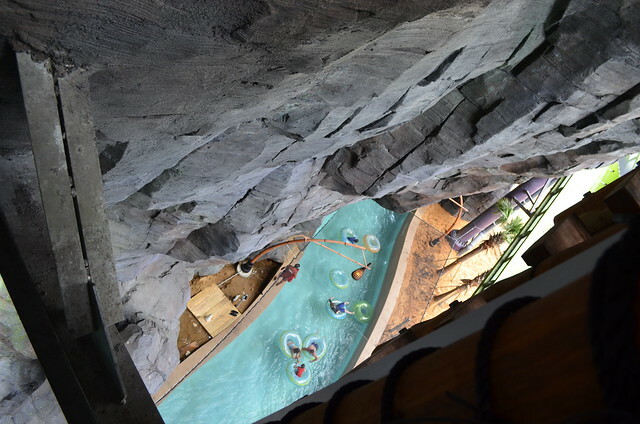 A bridge takes you over part of the wave pool and into the caves and caverns in the volcano. 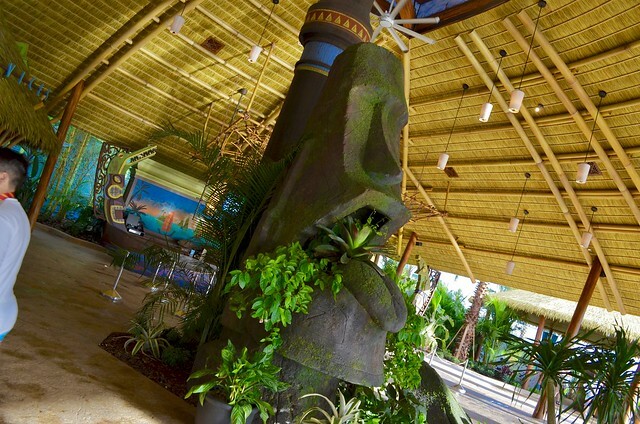 When I visited, some of the interactive elements and details where not finished. 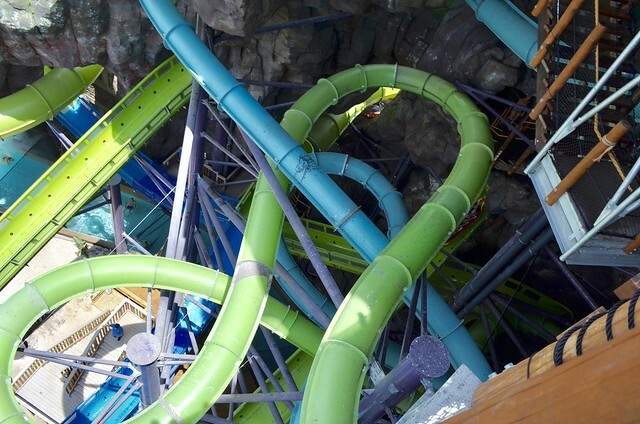 Some of the props were in place, but not fully completed. 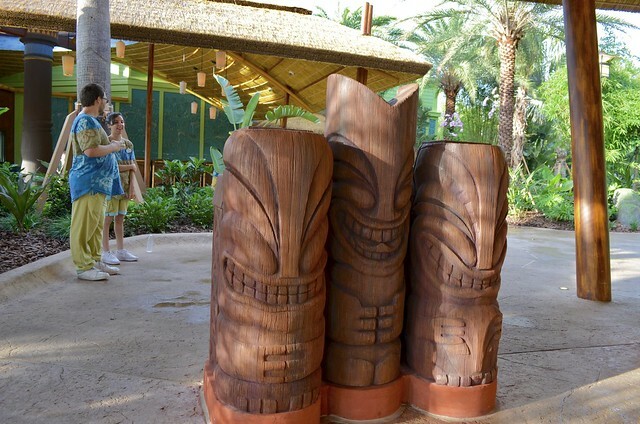 Near the drop slides is a cool interactive fountain with some tikis. 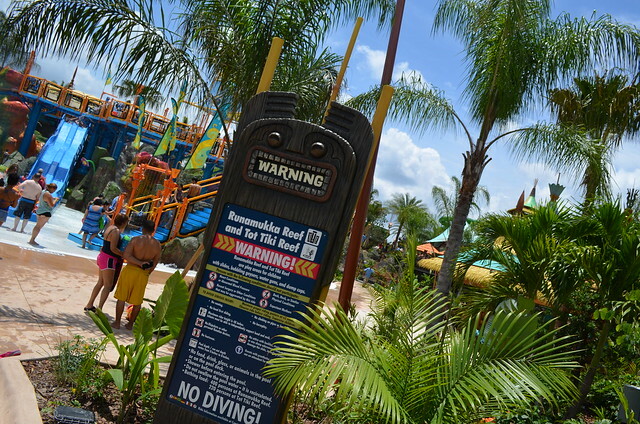 Cool storage racks for life vest. 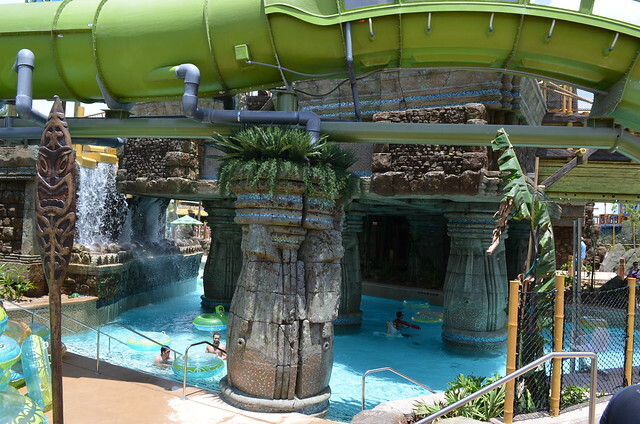 This large temple like structure houses the tanks for the action lazy river. 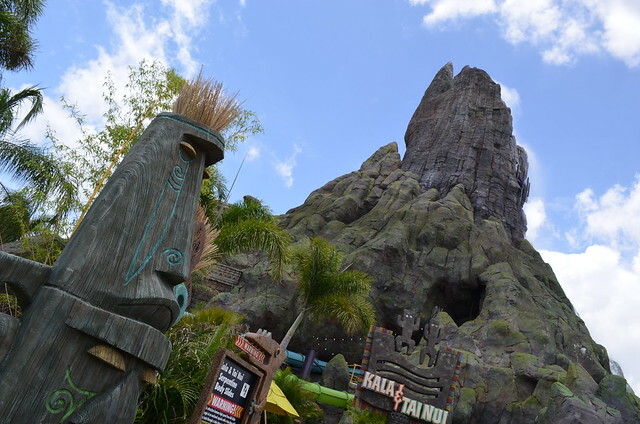 The action ride is probably my favorite attraction at the park. 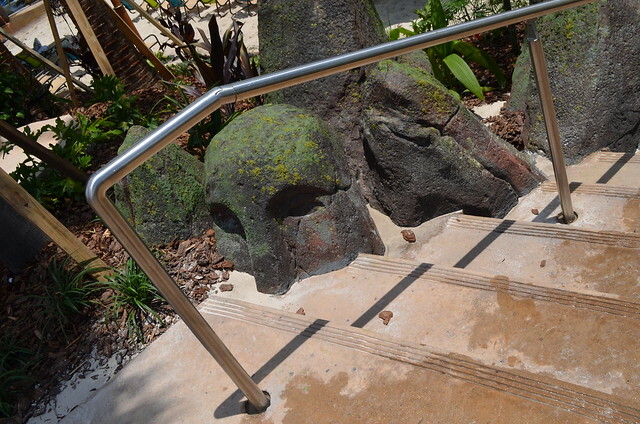 Lots of rockwork and polynesian influenced designs around the back half of the park. 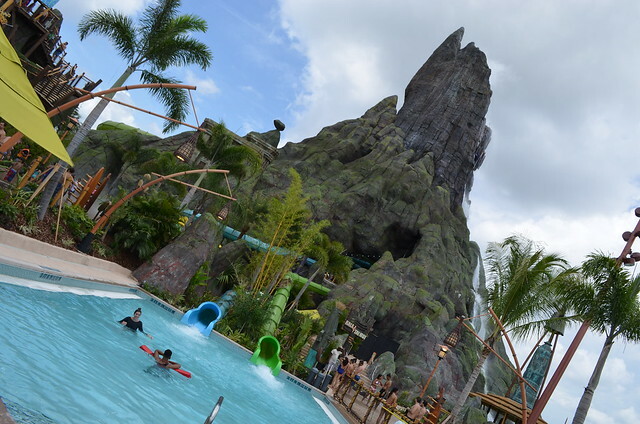 The backside of the volcano is blown open revealing the slides that are twisting inside. 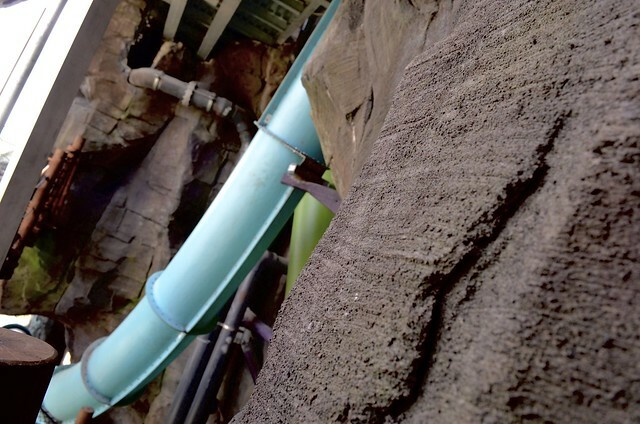 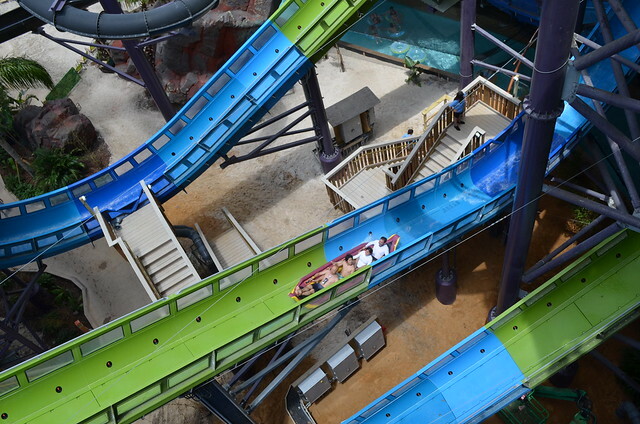 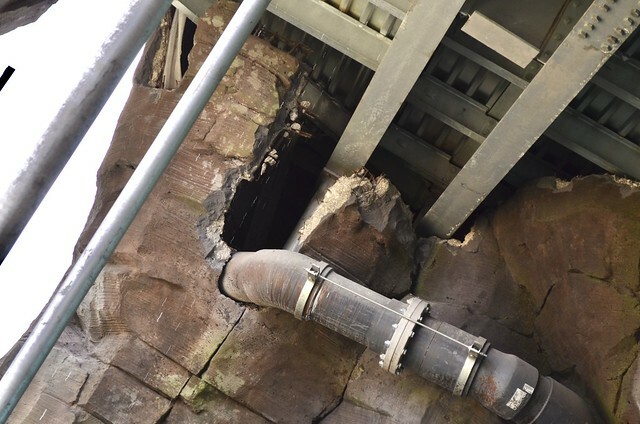 Personally, I wish this area was closed up more, hiding the pillions and plumbing for the slides. 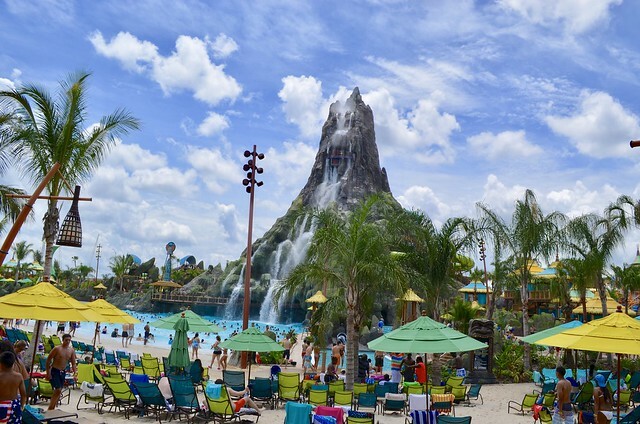 One the left side of the volcano are the staircases to two of the drop slides, the stairs for drop slide that goes down the front of the volcano is on the left side of the mountain. 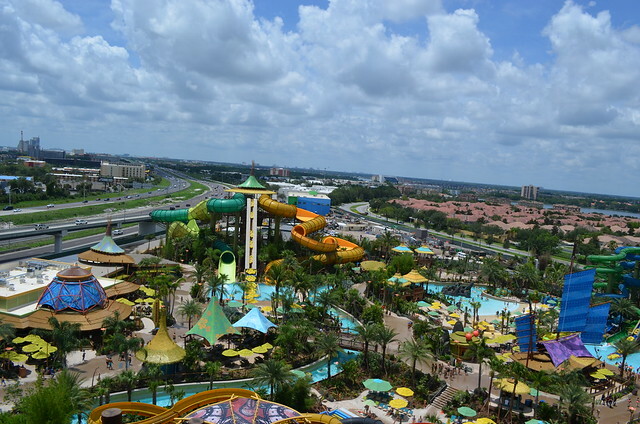 The views of the park from up here are great. 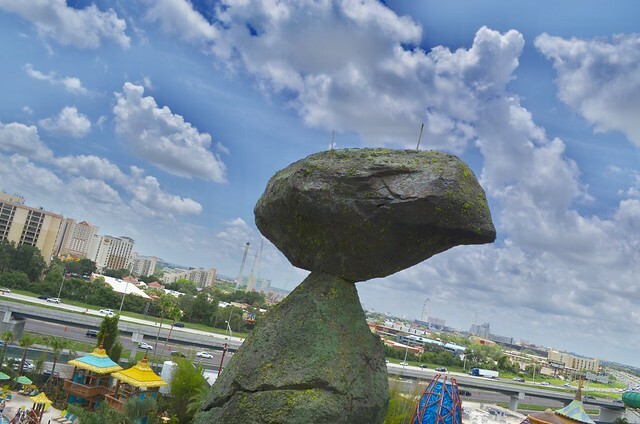 A balancing rock! 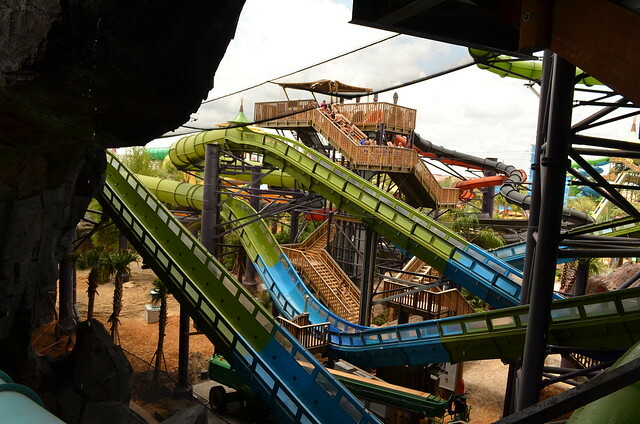 How awesome!! 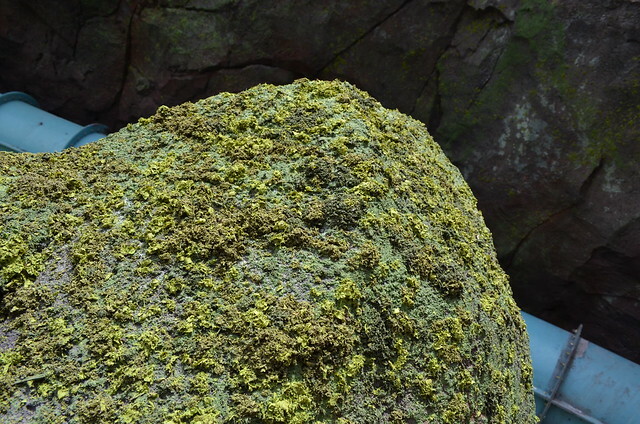 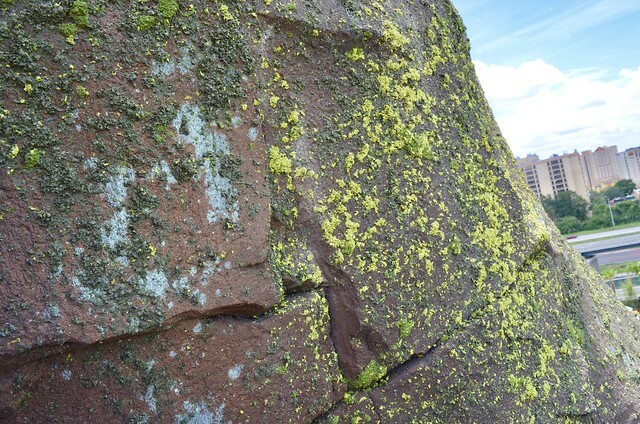 Close up on some of the textured moss on the rockwork. 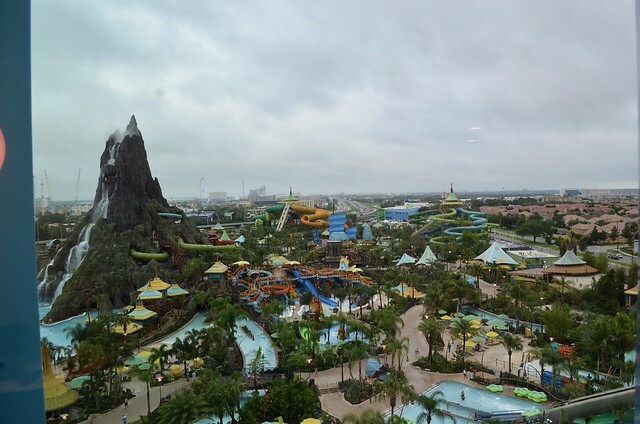 I guess with good views, comes bad views? 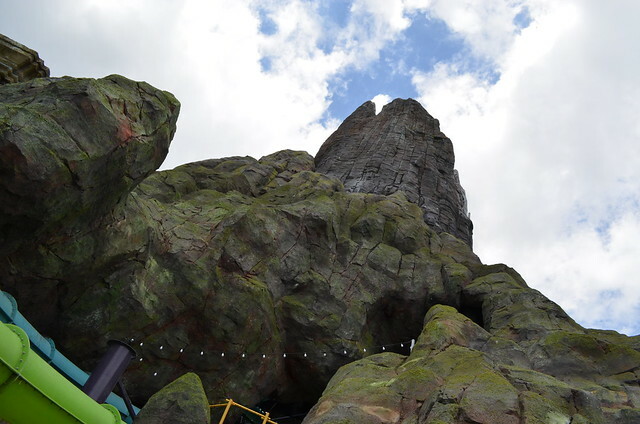 I like the columnar basalt rocks above the loading platform. 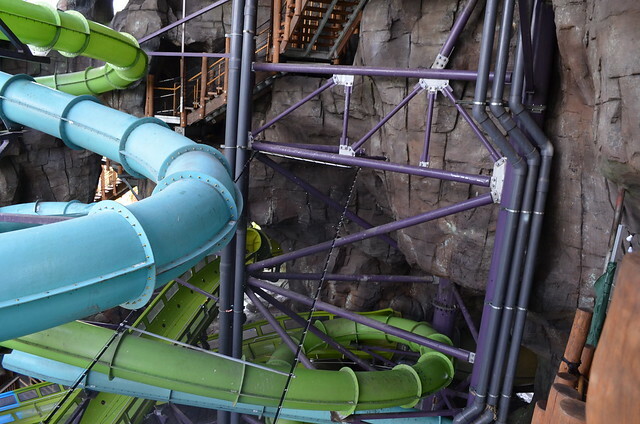 The first time you ride the green drop slide, your life passes before your eyes. 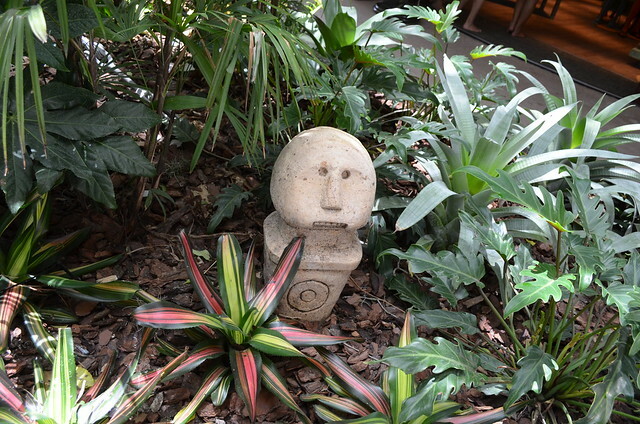 More tiki faces, but these are sculpted into the rockwork. 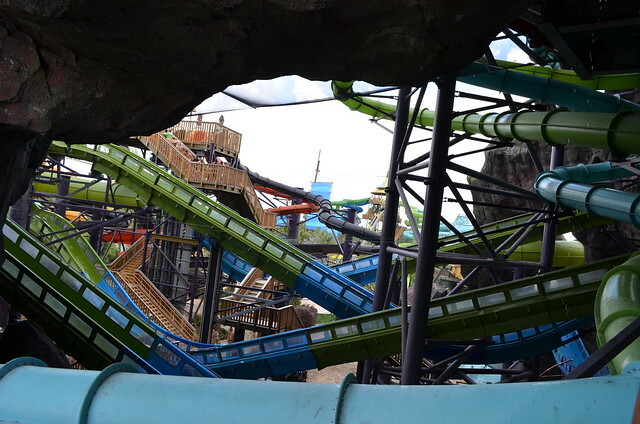 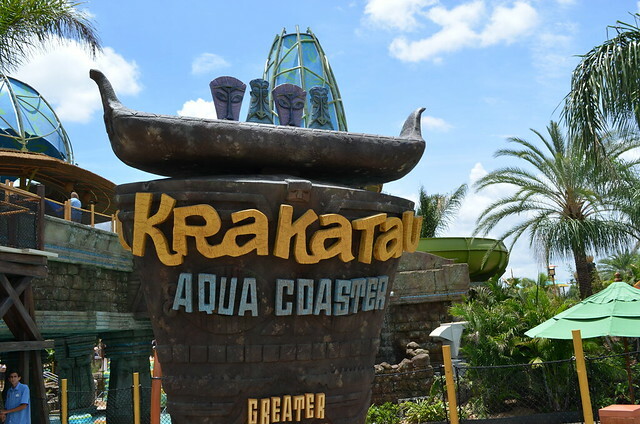 The main attraction is the Krakatau aqua coaster, this ride is a load of fun and a hightlight from the park. 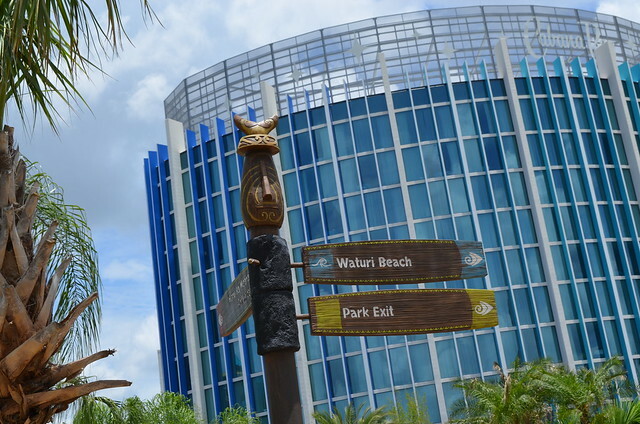 The sign is a based of Polynesian War Canoe wall art. 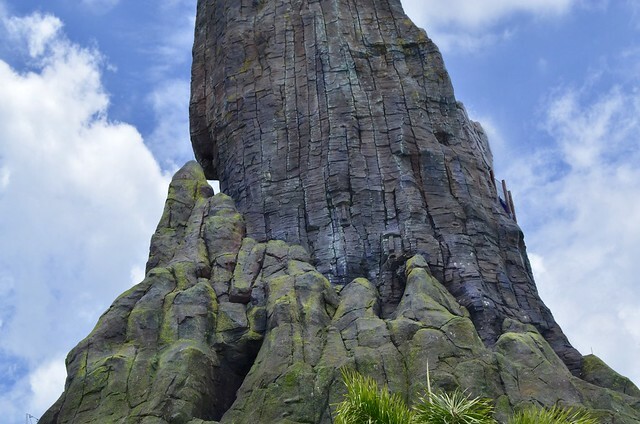 These figures mark the touch points you tap your band on to join the virtual queue for the slides. 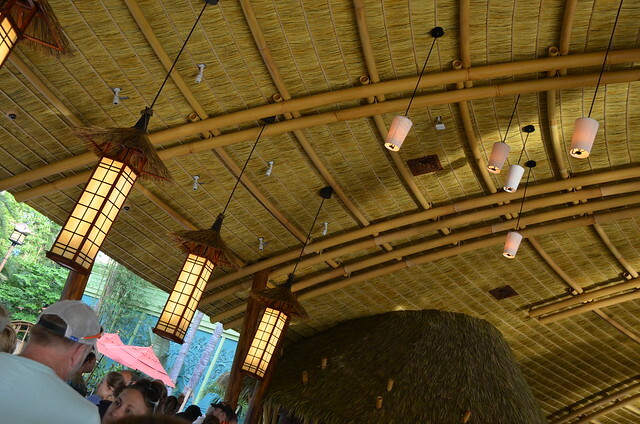 I like the angled roof design for the restrooms, they even have some mid century styled lights inside. 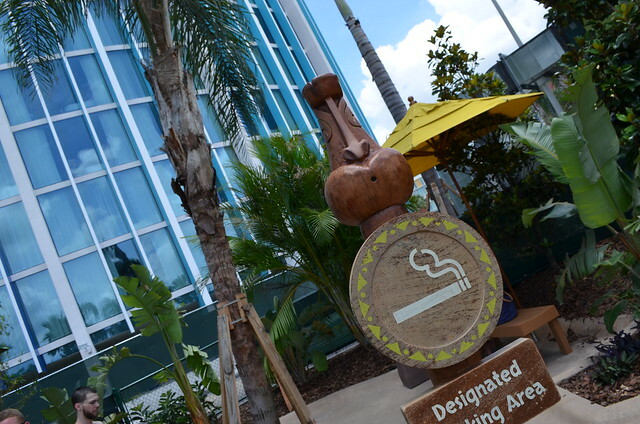 Cute signs for the smoking area and service animal area. 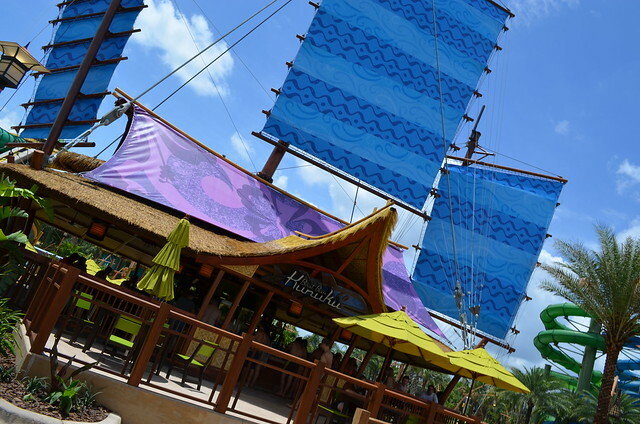 The boat bars feature sails on top and some neat signs. 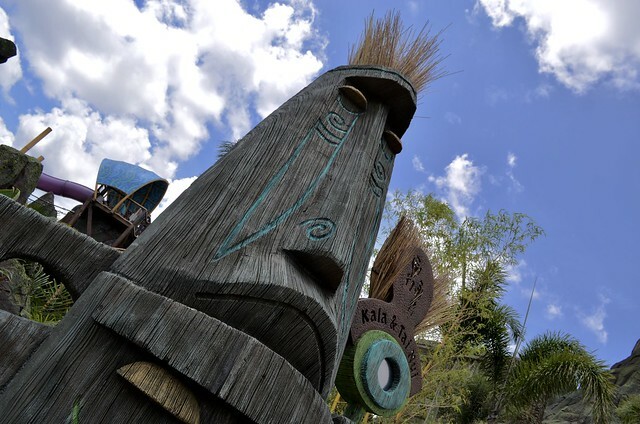 Too bad they don’t have tiki mugs. 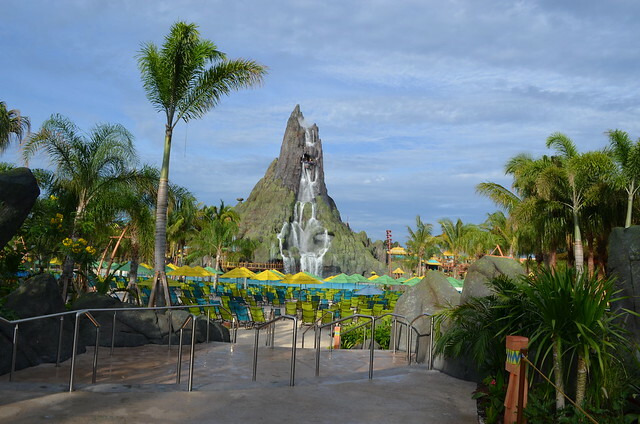 But the bar infront of the volcano has a stunning view. 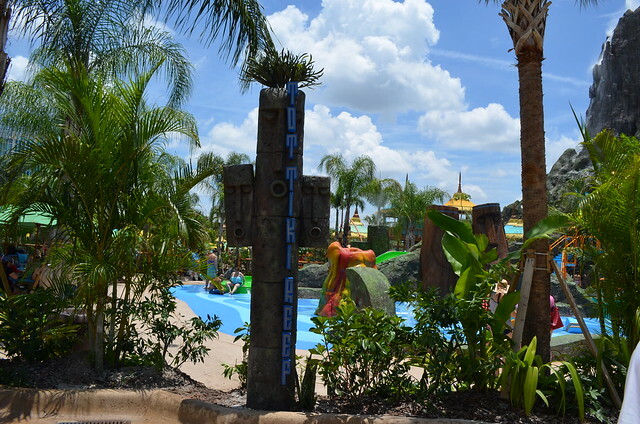 The kids play area is a lot of fun, even for big kids. 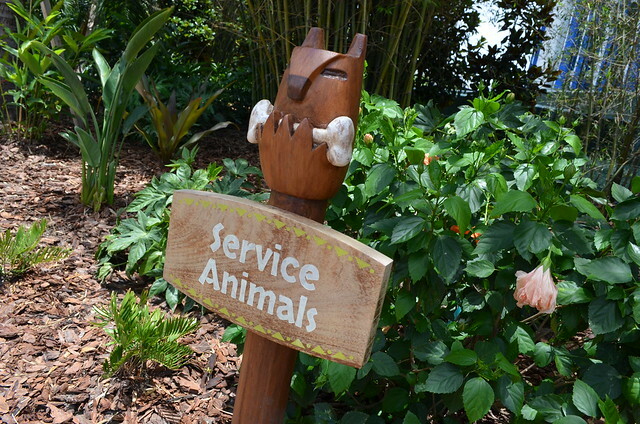 This is one of my favorite signs. 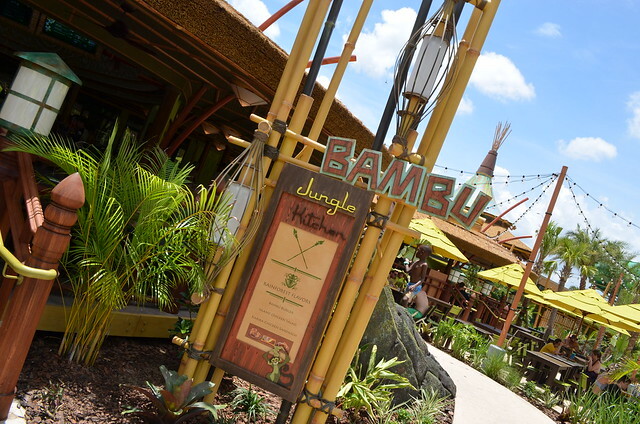 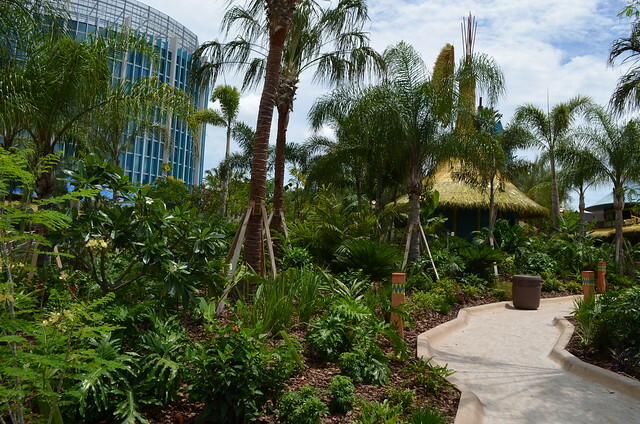 Some shots of the main restaurant and pathways back to the front of the park. 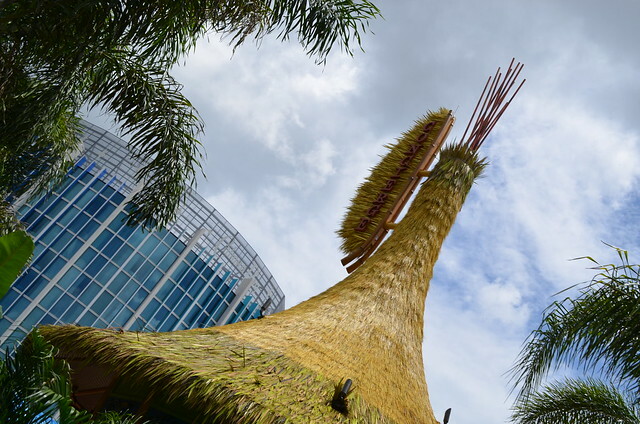 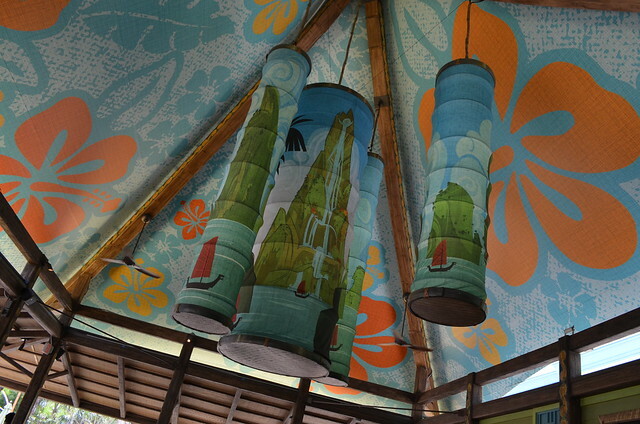 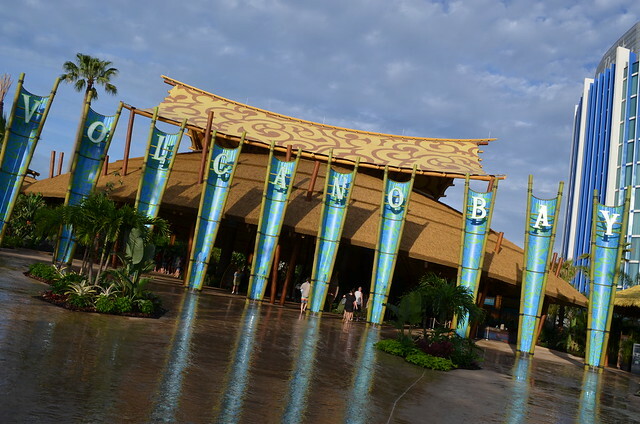 The park is it’s own stylized take on Polynesian design and is very well designed. 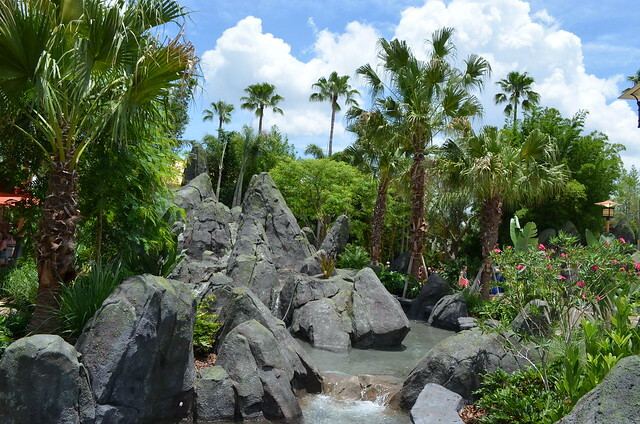 I’m excited to see the landscaping grow in and make this park an isolated tropical paradise.